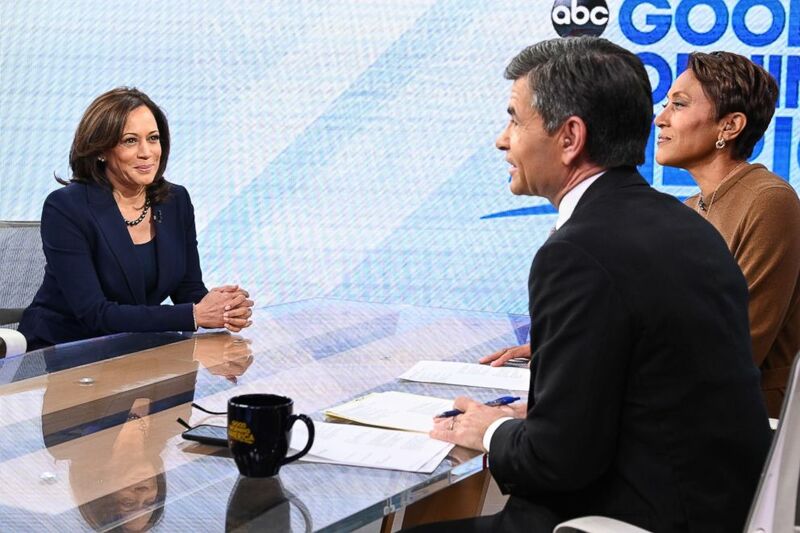 Kamala Harris appears on "Good Morning America," Jan. 21, 2019. 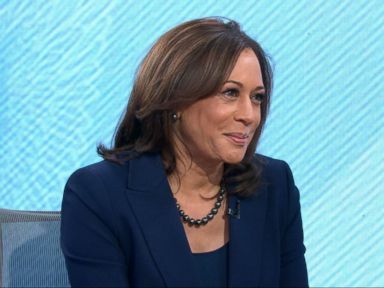 Senator Kamala Harris appears on "Good Morning America," Jan. 21, 2019. 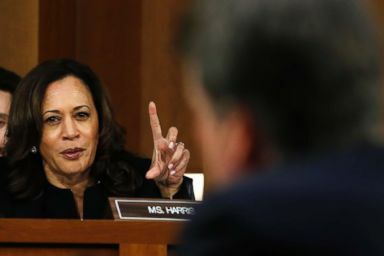 Sen. Kamala Harris questions President Donald Trump's Supreme Court nominee, Brett Kavanaugh, on the third day of his Senate Judiciary Committee confirmation hearing, Sept. 6, 2018, on Capitol Hill in Washington, DC.